When I watched the first episode of Game of Thrones, I was not impressed. I’d heard it was a great show, but the gratuitous violence did more to turn me off than draw me into the most important episode of the series. I haven’t returned to the show since. I know you’re thinking this is a post about first impressions job seekers make at interviews, but it’s not. It’s about how important it is to make great first impressions in every aspect of your job search, not just how you shake the interviewer/s hands, maintain eye contact, etc. Making a positive first impression can come into play before the interview phase, perhaps when you least expect it. I’m imaging a scenario where you’re at your local Starbucks, scoping out a comfortable chair to sit in for a couple of hours, and see the only one available among eight. As you approach coveted chair, a woman dressed in a tee-shirt, yoga pants, and Asics also has her eyes on the prize. You have two choices; you can beat her to it, or you can offer her the chair, knowing there are plenty of stools at the table along the window, albeit uncomfortable ones. You take the high road and offer her the chair and retreat to one of the stools. A week later you’re at an interview for a job that’s perfect for you. As you’re making the rounds shaking hands with the interviewers, you notice the woman to whom you offered the chair when you were at Starbucks; and she notices you as the kind woman who gave up that chair. She’s the VP of marketing and a key decision maker in the hiring process. A couple of traits she desires in the next hire is integrity and selflessness. The interview is off to a great start because you made a great first impression by relinquishing that chair. Little did you know that that act of kindness would pay off in a big way, an act of kindness that had nothing to do with the interview process. You may be thinking to yourself, “But that’s my nature.” Or maybe you’re thinking, “I can’t let my job search dictate how I act every minute of the day.” The point is when you’re in the job search, you’re constantly on. Let’s look at other ways you make a first impression before the interview begins. The way you dress. When you leave the house during the warm seasons, are you wearing your Red Sox Tee-shirt, baggie shorts, and sneakers without socks? You might want to ditch the Tee-shirt…and everything else. Work casual dress shows you’re serious about your job search. Trust me on this: I know which one of my customers’ job-search stint will be short based on how they dress. Body language. I tell jobseekers that people–not just employers–can read your body language like a neon sign and will make judgments. People can tell if you’re tense and therefore unapproachable. Alternatively, people sense you’re open if you have an open stance and pleasant smile. Possitive attitude. I see plenty of people who are understandably angry, and they’re not afraid to show it. There are other people who are angry because of their unemployment but don’t display their attitude. Think whether you’re more likely to help others who show a negative attitude or those who come across as friendly. I would never insist that you must feel positive; I’m just saying fake it till you make it. Effective communications. At a networking event or during a phone conversation, are you demonstrating proper communication skills? Are you listening or just doing all the talking? If you’re doing the latter, it could be a turnoff for those with whom you’re speaking…a possible employer or valuable networking contact. I’m highly sensitive to people who do most of the talking. Activity. 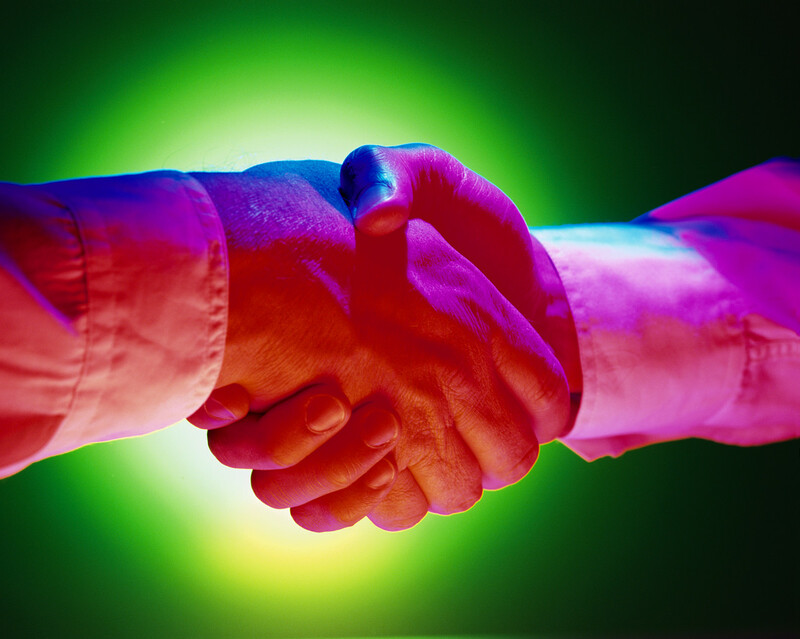 One of the best ways to present a great first impression is by being active in your job search. I’m not talking about being overbearing or obnoxious–I’m talking about due diligence, including sending appropriate e-mails, making telephone calls, attending networking events, calling on recruiters, engaging in daily networking, and whatever you’re capable of doing in a professional manner. Personal business cards. Nothing says professional and serious about the job search than personal business cards. They’re perfect to bring to networking events, job fairs, informational meetings, or just when you’re out and about. My close LinkedIn connection and branding master explains how business cards brand you. Chillax. In the job search you’re so focused on getting your next job that you may come across as too focused and determined. Give yourself a break every once in a while. People can sense those who are desperate. Read my post on displaying emotional intelligence in the job search. Follow up. This can’t be stressed enough. When you say you’ll call or email someone or meet that person for coffee, make sure you follow through with your commitment. And be sure you’re on time by the minute. Being late leaves a negative first impression. Pay it forward. In the above scenario you demonstrate selflessness by offering the other person the chair. It so happened the recipient of the chair was someone on the interview team. Your act of paying it forward worked out nicely, as she appreciated your act of kindness. The story of you meeting the VP of marketing at Starbucks and offering her the coveted seat ends well; she casts a heavy vote to hire you for the job of your dreams. You still don’t know what you did to earn her vote, but does it really matter as long as you consider being the say you are. 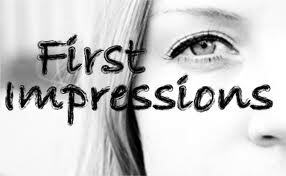 The power of first impressions. This entry was posted in Career Networking, Career Search and tagged attitude, Body Language, First Impressions, interviews, Networking, Online Presence on March 15, 2016 by Things Career Related.